For the book DATAWALKING, a collection of visualisations of data gathered by designer David Hunter, I created bespoke software to make visualisations based on his data set. The process: Air is a gas and so it has a flow rather than absolute position. I wanted to capture some of that fluidity in these data artworks. They are using the data from a MQ135 dust sensor and plotting them on a map using the latitude and longitude recorded with each sensor reading, but with a twist. 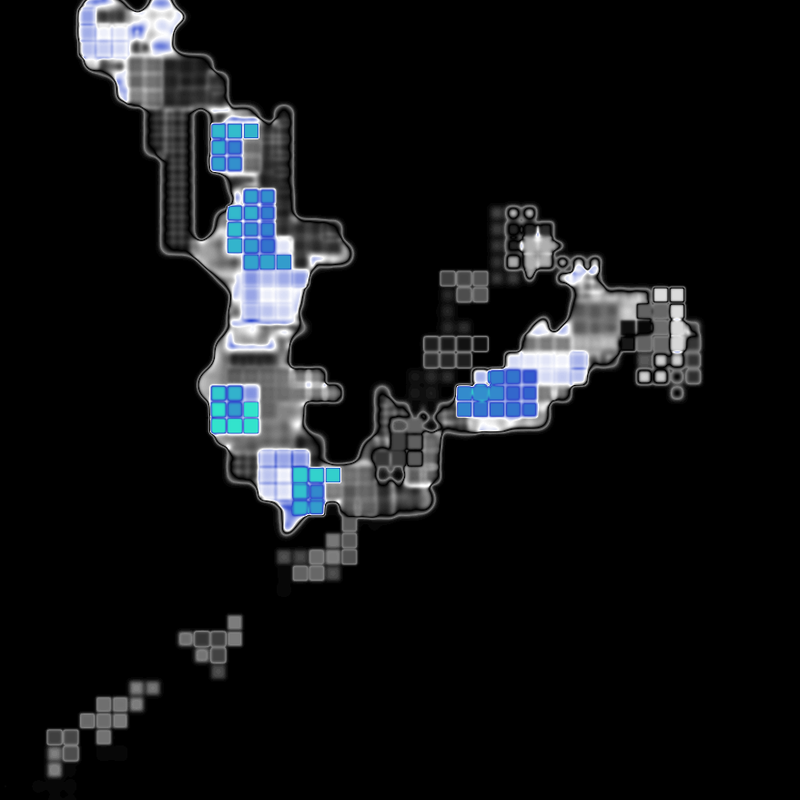 Over and over again, the data is re-plotted on the screen and little "walkers" with a primitive path-following AI are generated to spread those values around the map. Their trails are then fed into a cellular automata (Gray/Scott reaction-diffusion) network that "grows" them outwards and mixes them together, using similar procedures to how seashells are formed and their intricate, repeating patterns are woven together from generations of cellular growth.